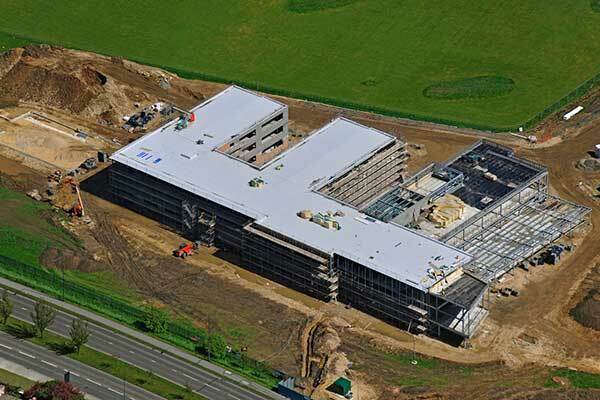 Steel erection has been completed on the £16M rebuild of Outwood Academy Adwick in Doncaster. Working on behalf of main contractor Wates Construction, Atlas Ward Structures has erected, supplied and fabricated all of the project’s structural steel. Work on the 989m² structure began in October 2011, and the new 1,350 capacity school is scheduled for completion in early 2013. The new build will feature improved teaching spaces, a dance and drama studio, and a personalised learning centre to provide individual care for students. Designed by CPMG Architects, the Outwood Academy Adwick is being delivered by Wates in partnership with Doncaster Council’s Education Build team with support from Partnerships for Schools and the Department for Education.